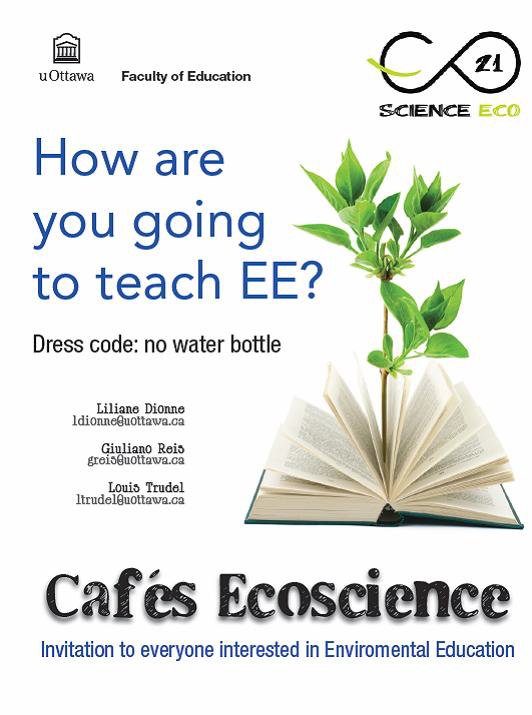 To all those interested in science and environmental education, the members of the Science Eco 21 Research Unit would like to invite you to our next workshop that will take place on Thursday, October 20th, between 12h and 12h50 at LMX 117. During this workshop, Mira Freiman, a MA student in environmental education, will come to talk about experiencing nature with a group of student. PBYOWB (by the way, please bring your own water bottle). For more information, you can contact Marc at mprud15@gmail.com.